Electricity bills keep rising at an alarming rate so why not install a voltage optimiser. This is an easy way to bring them down. Not only can you save up to 17%* a year, but you will also increase the life of your appliances and reduce your carbon footprint. Voltage optimisation is a simple method of monitoring your energy and reducing the voltage that is supplied to your property. This will reduce the amount of electricity you use. Electricity supplied to your home or business by the National Grid is around 242 volts. All our electrical equipment, appliances etc. is able to run at a supply of approx 220 volts, allowing you to save electricity (reduce your electricity bill) and help reduce your Carbon footprint. The voltage optimiser not only saves you money on your electricity bill, it extends the life of your electrical equipment. When your equipment or appliances receives electricity at a higher voltage, it operates but will be generating more heat or vibration, causing them to wear out quite quickly. Along with saving money on your electricity bill, your voltage optimiser will also help make your appliances last longer. The voltage optimiser fits inline between your electric meter and your existing consumer unit. 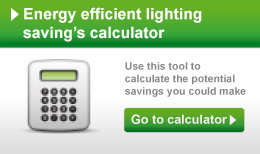 * Savings are based on 2011 average electricity price levels and estimates of typical usage. We offer a free site survey to determine your voltage reading and inspect your current electrical installation. The survey will take no longer than 45 minutes to complete. We will then issue you with a report and a quote via email or by post. The installation will be carried out next to your electricity meter and consumer unit. The connection of your Voltage Optimiser unit can take up to 3 hours to install. We aim to minimise any disruption and can install after work hours or over the weekend if required. Give us a call today on 01616101116 or 07734689787 to book your FREE site survey and a FREE no obligation quote. * Savings levels achieved will vary due to the type of electrical appliance. 17% is calculated based on the unit reducing the voltage by 9% and the corresponding kWh consumption. Savings of between 9% and 13% are typical. Call us now for a FREE survey and a FREE no obligation quotation. If you have any questions about Electrical installations or need some advice please feel free to get in touch. We are always happy to help and offer a FREE site survey and quotation. MD Electrics are NICEIC certified Electricians based in Stockport, Cheshire. We cover all of the North West and surrounding areas. © MD Electrics 2012. All Rights Reserved.